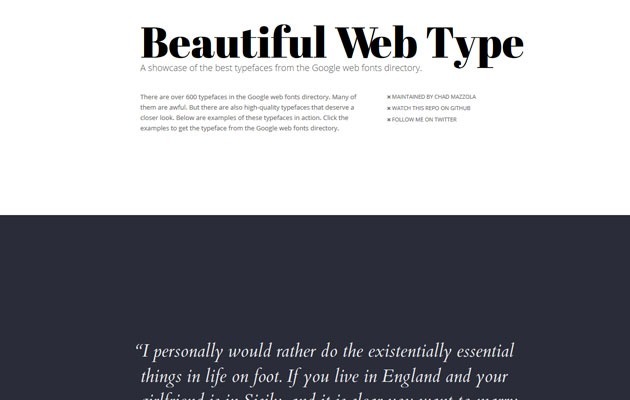 Choosing the perfect font for your web project can be a daunting task. You can spend hours on end trying to find the perfect font combinations, which works well together. In this post we have shared some of our secret resources, which I tend to use when starting a web design projects to make that process a piece of cake. 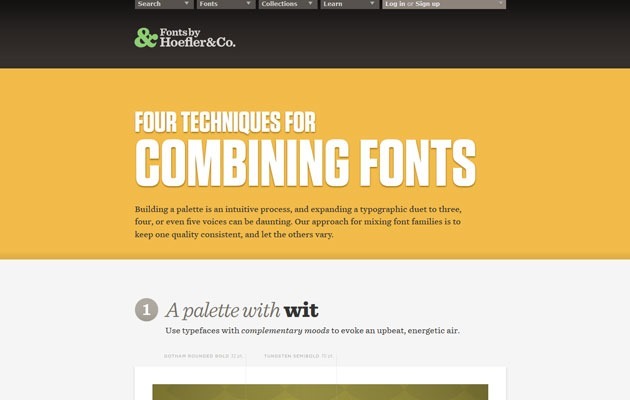 We have included some great resources below, for font pairing and font inspiration. If we have missed any other great resources please do feel free to share those in the comments section below. 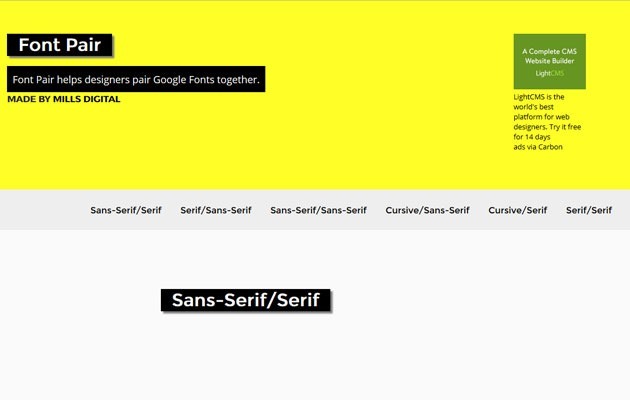 Font Pair helps designers pair Google Fonts together. 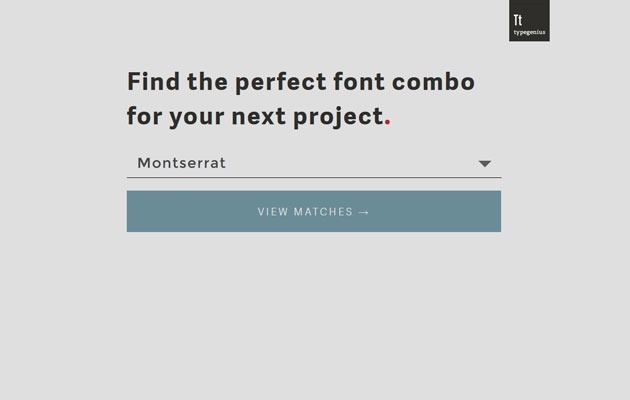 Finds the perfect font combo fro your next project. 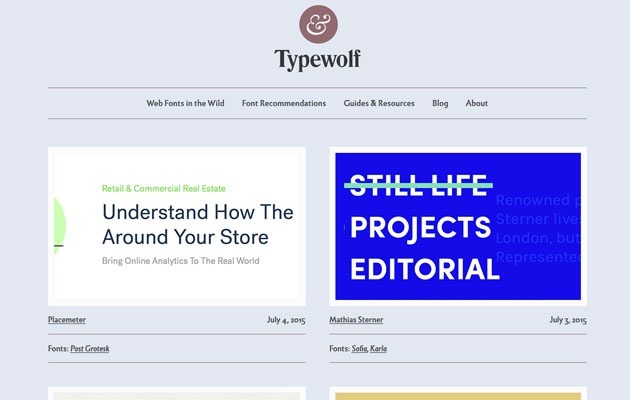 Typewolf launched as a side project in June of 2013. By as a designer, who was always frustrated by the lack of good resources for choosing fonts for design projects. 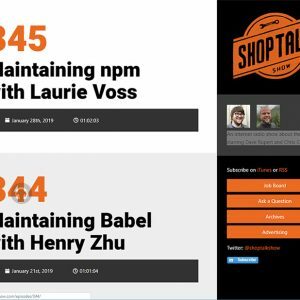 Seeing type samples set in “The quick brown fox jumps over the lazy dog” isn’t very useful when it comes to web design — seeing how real fonts perform on actual live websites is much more helpful. A collection of font pairings from Typekit and H&FJ. Fair warning: the pages of this site are pretty heavy in download sizes – up to 3mb. Don’t say I didn’t warn you. Building a palette is an intuitive process, and expanding a typographic duet to three, four, or even five voices can be daunting. Our approach for mixing font families is to keep one quality consistent, and let the others vary. 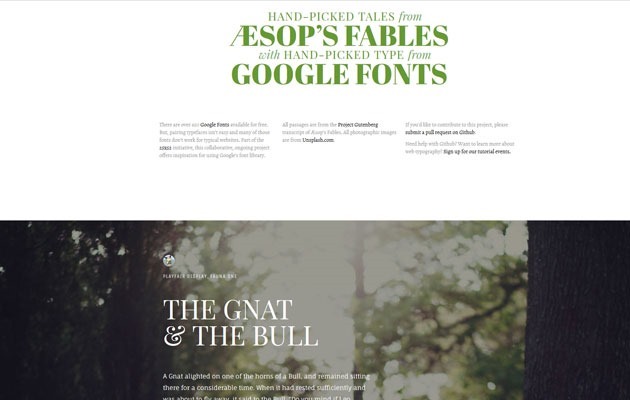 There are over 650 Google Fonts available for free. 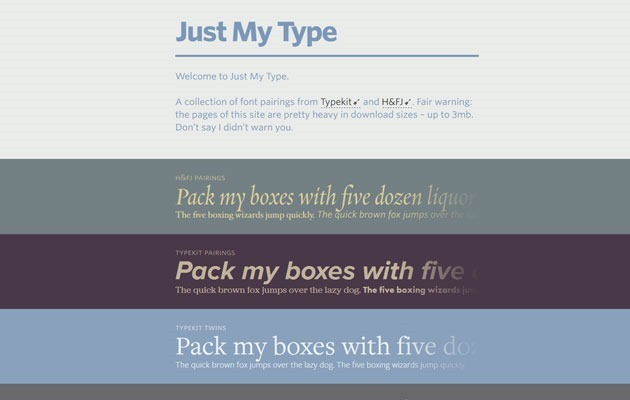 But, pairing typefaces isn’t easy and many of those fonts don’t work for typical websites. Part of the 25×52 initiative, this collaborative, ongoing project offers inspiration for using Google’s font library. Your post is awesome and very informative and the article is full of inspiration. Thanks a lot. 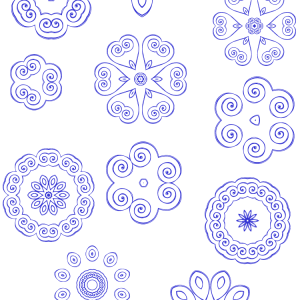 your work is very good.Do you know already many people around looking for this information.